SOLD BY SPENCERS ESTATE AGENTS, RINGWOOD - A completely renovated, single storey cottage style home, situated in the idyllic rural village of Woodgreen, with views over the New Forest National Park. 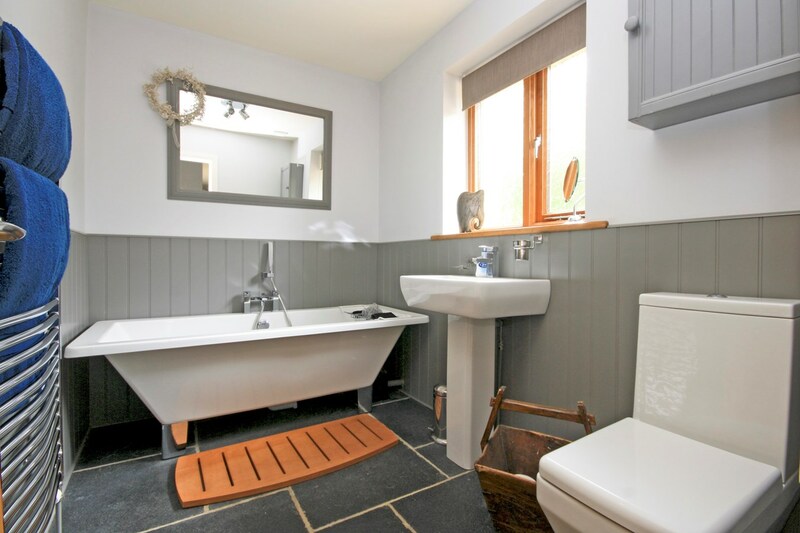 This beautifully appointed home has been finished to a high standard, using quality materials and superb fittings within the kitchen and bathroom suites. 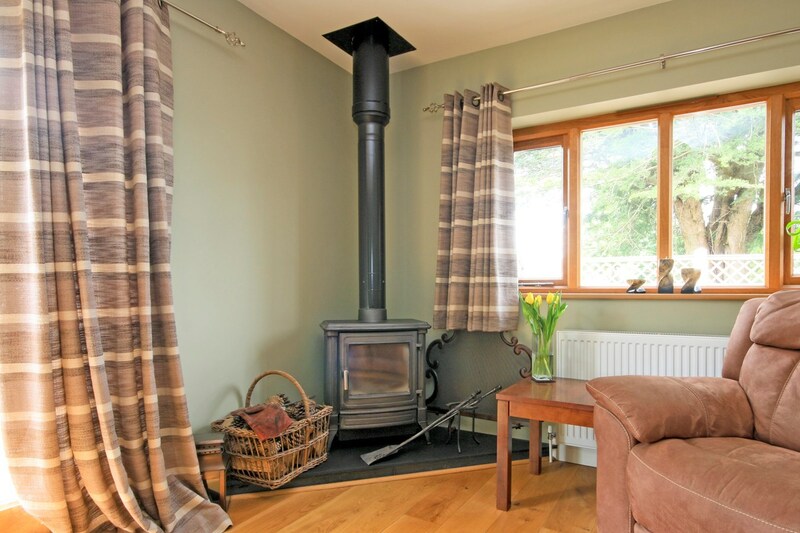 Comprising; solid wood window frames and internal doors, an oak framed sun room and oak and flagstone flooring. The living room has a triple aspect over the private grounds, which are accessed along a private drove. 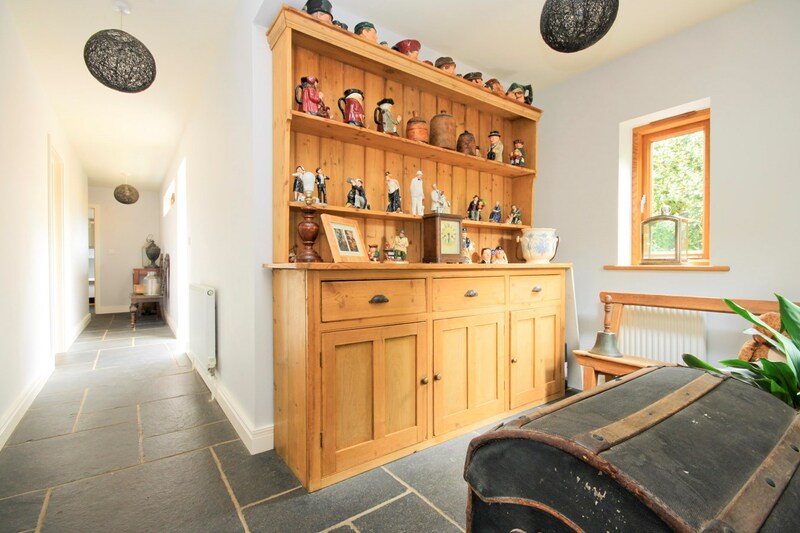 An oak front door opens into the entrance hall, which gives access to the living and bedroom accommodation, and is finished with attractive flagstone flooring. 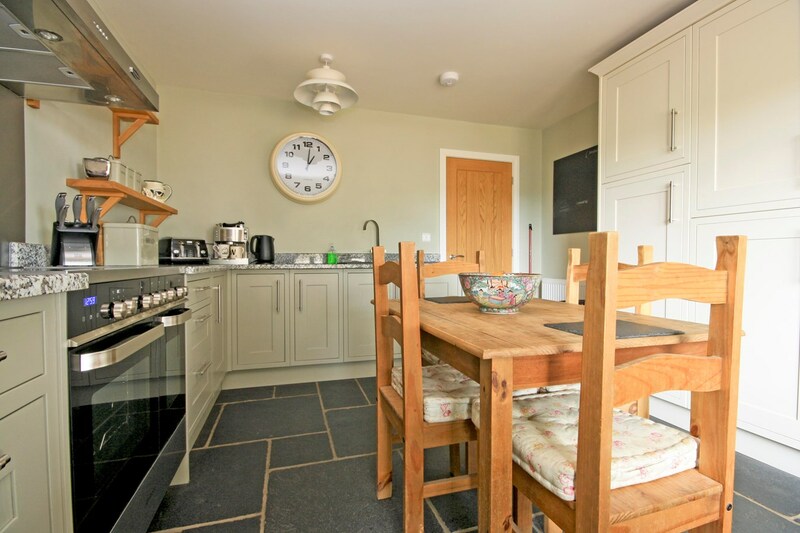 This continues through to the beautiful country style kitchen/breakfast room, which is fitted with painted wooden units with granite work surfaces over and an inset Cooke and Lewis Integra sink. 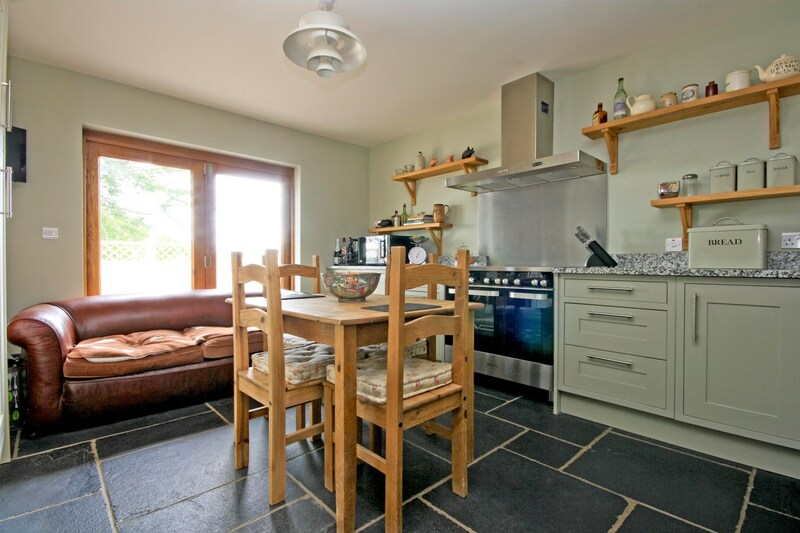 There is an integrated fridge, integrated freezer with space for a Range style cooker. 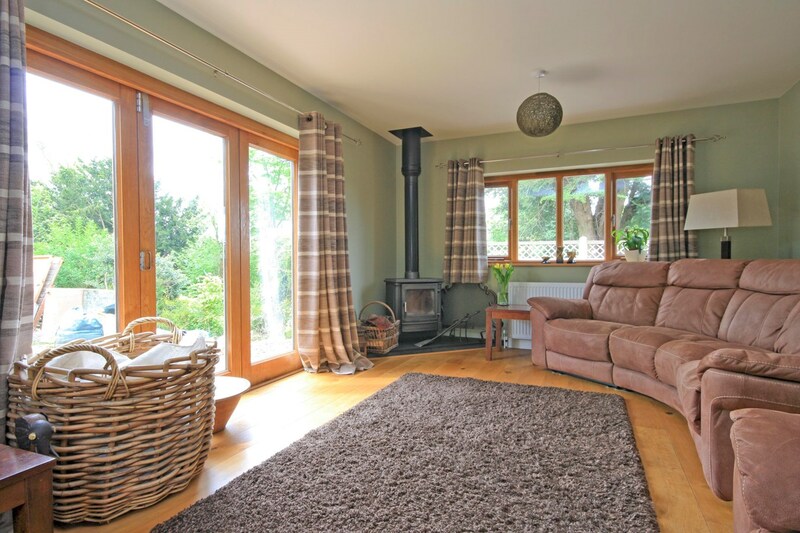 The living room has a triple aspect with bi-fold doors opening onto the gardens and features Oak flooring and a wood-burning stove on a slate heath. 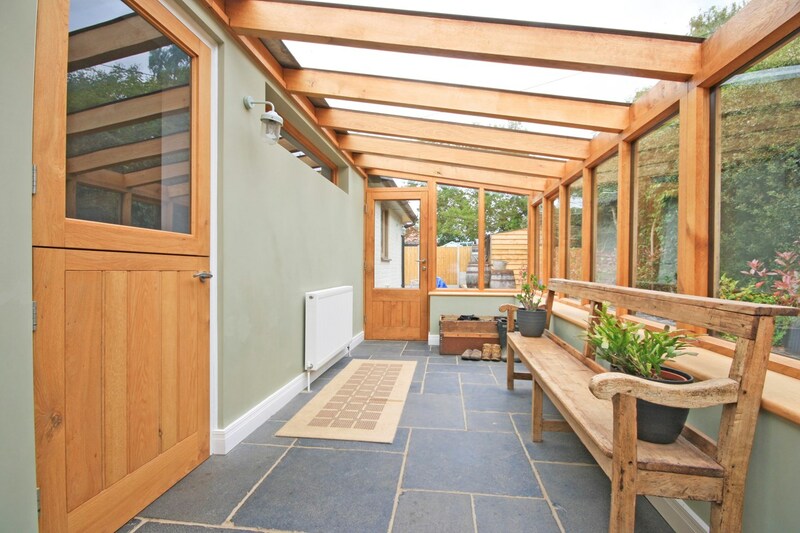 The oak framed sun room, also with flagstone flooring, offers a further sitting area and gives further access to the gardens. 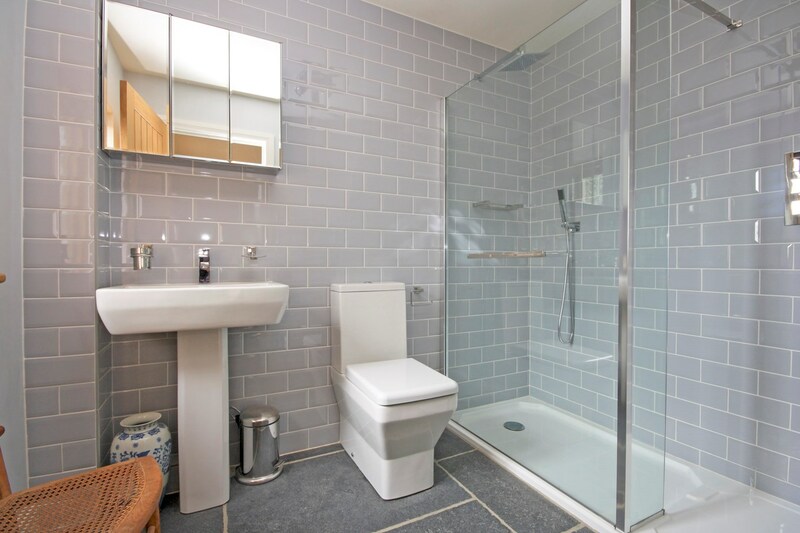 A cupboard provides space and plumbing for a washing machine and tumble dryer. 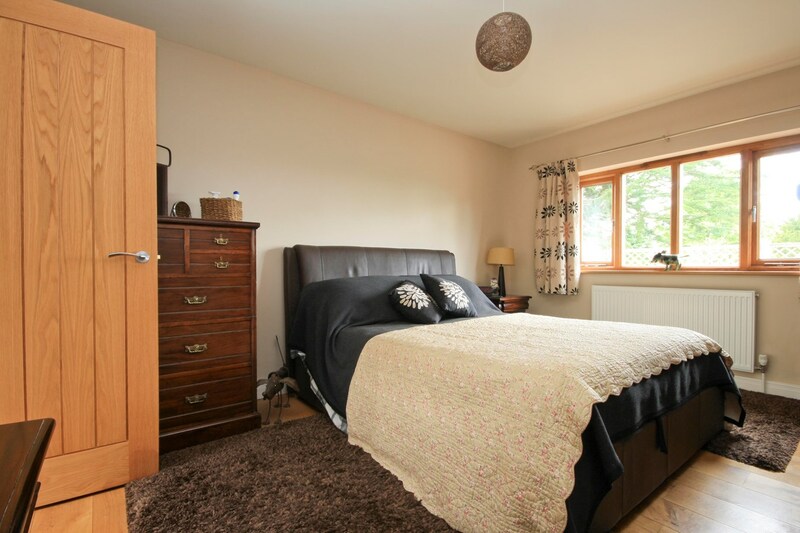 There are two double bedrooms accessed from the inner hall, both with oak flooring and far reaching views over the adjacent forest; the master bedroom has a double fitted wardrobe and benefits from a modern en-suite bathroom, which includes a large shower cubicle wash basin and WC, with most attractively tiled walls; the second bedroom has doors opening onto the gardens and a large built in cupboard, and is served by the quality fitted family bathroom comprising a free standing bath with shower attachment, pedestal wash basin and WC, finished with partly wood-panelled walls. The property is approached along a private shared drove (at the end of the drove there is convenient pedestrian access onto the High Street, Woodgreen). The enclosed private gardens are in the process of being landscaped; they mainly lie to the front of the property with a raised bed edged with sleepers along one side, including steps to a small paved seating area, with mature hedging to the boundary. To the rear of the property are three further raised beds, with fencing to the rear boundary and far side boundary, offering lovely rural views.